Bryan-Bennett Library Trustees are volunteers and are appointed by the Salem Mayor, with the approval of the City Council. Trustees serve three-year terms. The Bryan-Bennett Library Board of Trustees may be contacted at bryanbennettboard@gmail.com or through Library Director Kim Keller. 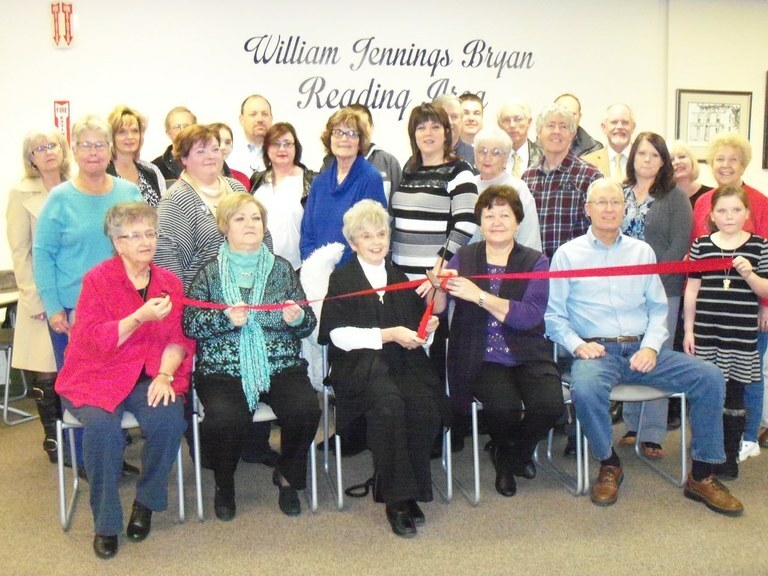 Salem Bryan-Bennett Library Board members were joined by friends from the Greater Salem Area Chamber of Commerce for a ribbon cutting to officially open the William Jennings Bryan Reading area and celebrate the 2016-2017 renovation project. Board Vice President Joyce Raver, who chaired the renovation committee, and Margie Doolen, the wife of the late Sherm Doolen, were given the honor of cutting the ribbon. Mr. Doolen was an advocate for establishing the reading area as a memorial to one of the Library's original benefactors, William Jennings Bryan.